This is a topic that consumes most minds in the corporate and government sectors in contemporary times. It is because of the way contemporary world is shaped by the global and regional economic and political forces. In order to understand who benefits from this arrangement and who aren’t, we have to understand the nature of different spheres operating simultaneously in a hierarchical fashion in the global order connecting a multitude of large and small nations. In my view, there are three main spheres in the current arrangement of the global order: 1) global, 2) intermediate 3) local. Let me explain. The global sphere includes the weak and powerful states formed into multilateral organisations such as the UN and its agencies, bilateral agencies, and the multinational corporate sector. Various political and regional alliances among states form an important part of this sphere as is the network of close relations in the corporate sector by way of a multitude of servicing agencies in professional fields such as accountancy, law, transport, finance, trade, tourism, medical, security and so on. The NGO sector is also a key element of this global sphere. They work closely with multilateral and bilateral agencies partly to design and administer various projects sponsored by states or non-state organisations. There is a significant difference between the corporate culture, diplomatic culture and the NGO culture at the global level. Upper echelons of each of these sectors adhere to well developed formulae from their predecessors. Personal factors interfere in their operations to a lessor extent. Rules and regulations governing these sectors are generally clearly defined and the masters of each sector keep a tab on the operations of those below in the respective hierarchies. Goal setting and achievement of such goals within defined time and financial frameworks plus natural and human resource boundaries are key considerations. Organisations originating from the global north or metropolitan capitals of Western Europe and USA in the corporate sector have to be responsible to the shareholders of companies and other entities for the operations of respective organisations. NGO sector also has specific mandates that are closely followed by their superiors in the capital cities of the developed West and USA. Operations of these organisations in countries of the global south, including for example India, China, Pakistan and Sri Lanka is essential for the value adding for various products and services. Thus the officials from all three sectors have a need to connect and do business with those with power, status and wealth in the intermediary sector. Intermediary sector includes the politicians, government officials, rich businessmen, investors, NGO activists and significant others within states and in the diaspora. In order to transact business within specific countries, those in the global sphere need to connect with these figures officially and unofficially, e.g. in social occasions. Current world is moving on the basis of transactions undertaken, projects planned and implemented, finance organised, and the social justifications for the projects thus designed. Those active in the intermediary sphere or zone come from the local contexts within specific countries but also from the diaspora and the global context. (This is as a result of various migration waves in the last few decades plus the facilitation of business visa for those with sufficient wealth and capital by the developed countries of Europe, USA, Australia, Canada etc.) Thus we can imagine about a private sector initiated port development, road development, irrigation projects, apartment complexes or other businesses to provide specific services. These are the products of negotiations between those from the global sphere i.e. global North, and those in the intermediate sphere ie. global South, working on behalf of the populace in general or specific constituencies with vested interests. As elected representatives carry the mandate to negotiate business on behalf of the nations, they play a key role in all this to provide legitimacy. In a country like Sri Lanka where the indebtedness is growing by the day, negotiations for further projects, businesses, investments etc. have become an essential activity of the elected government and its functionaries. These are conducted in line with the dominant economic doctrine in the minds of ruling elites, ie. Neoliberal, free market economic norms and principles. Very little questioning of this doctrine seems to occur within the ruling class or in the broader society! The culture and lifestyle of those in this intermediate sphere is globally oriented. Key players need to have an understanding of how the world works and how to turn events and dealings and wheelings with global partners in their favour? With time, those who engage in this game acquire a certain versatility and acumen with experience, networks and opportunity provided by their backgrounds and affiliations. Members operating in this sphere lead a high life mostly with the public purse and others by using their corporate or INGO resources. The discourses used by specific personnel vary depending on the sector. Those in the intermediate sphere move across countries and regions easily and have well-established connections with those in the diaspora. They are the custodians of designing, changing, delaying and even manipulating the overall ‘system of governance’ and its sub systems. They use the mandate received from the voters at periodic elections (heavily manipulated though) as well as the experience and political and culture capital acquired to achieve these objectives. In addition to the political layer, there is a technocratic layer of individuals attending to the transactions. Now we come to the third and final sphere. It is the domestic or local sphere. Average folk in the lower to middle classes and those in poverty belong in this sphere. By far, they are the majority looking to the political masters and other authority figures to manage the country and provide rules and space for a peaceful life. There are many divisions within this sphere based on language, religion, ethnicity, class, gender, lifestyle, etc. In fact in this sphere, there are dividing factors more so than uniting factors. The daily life of members of this sphere is fed with national news about national and international affairs by a multitude of media. Members of this sphere carry diverse aspirations for themselves and their kith and kin. They operate within ‘the system’ designed by those who know better and those who are well placed in the social, political and economic hierarchies. Such hierarchies end up in the intermediate sphere and we refer to them as elites. Those in the domestic sphere tend to lead their life according to the rules –except the deviants- and this make their progress slow. They encounter many challenges for getting ahead in life or creating a better future for children due to lack of material resources and culture capital. For example, if they or their children did not attend Royal College or similar Colleges with a chequered history going back to the colonial days or enter the university to do a professional degree, or well connected to the players in the corporate sector their life chances are dismal. However, their connectivity with significant others is weak though many tend to go after such figures at the local levels to obtain various benefits which are things like a job, license or permit, local contracts. Many seek spiritual help to secure even the simplest task in life and go through sets of anxieties generated by the system in place, which they consider as not just. I can go on elaborating on these three spheres but for the sake of readability and space let me end with a couple of key observations. Firstly, everyone in these three spheres have to live. The motivations for living and how high one intends to live one’s life is predicated on different sets of values, norms, aspirations, lifestyle considerations, extent of the greed, and power to control situations and those below in other spheres. If the system fails, everyone fails except those in the top two spheres, i.e. global and intermediate. If the system is successful, which is unlikely for many countries in the global south, everyone wins. 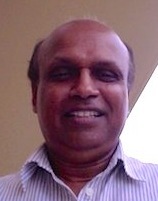 The point in elaborating the various spheres of activity in the globalised world is to highlight the fact that the world is organised today in a way that those who own and operate enterprises serving the interests of the global capital are spreading their wings to various parts of the world, especially to developing countries such as Vietnam, Sri Lanka, Thailand, Malaysia, Myanmar, Bangladesh. There is only one motive for such enterprises and their backers, which is to make more profits. Acquiring ownership and control of economically valuable assets aid in their regional and global operations through multiple webs of companies and other entities. When the operations of such global entities which are commonly known as multinational corporations (MNCs) are super imposed on the economies and societies of developing countries, their products and services as well as operations become ‘a dominant influence’ on the rest of the economy and society. Though there are some transient benefits to the developing countries in absorbing and making way for such enterprises by way of capital injections and provision of employment, the long-term impact on the sovereignty and self-determination of the countries concerned can be destructive. In some cases, such enterprises operate hand in hand with decentralised security establishments of world powers. A good example is Qatar or even Syria. Privatising national assets such as ports, plantations, post offices, education and health, various other economically significant national enterprises is part and parcel of this phenomenon. Inviting foreign capital to establish various enterprises in tourism, fisheries, transport, mining, and other sectors is also apart of this economic syndrome validated and promoted under the neoliberal free market principles and rationale. The bottom line is that renowned economists, social scientists, educationists etc. around the world are subjecting this economic doctrine to credible and extensive criticisms, especially from the global South. Even in the case of development discourses, interested parties are searching for more sustainable models of development to provide happiness to the populations in respective countries instead of continuing with the hierarchically organised dominant economic doctrine of neoliberalism that is highly exploitative in nature to benefit those owning global capital. Sri Lanka is no exception and it is time that the more awakened leaders, professionals, educationists, social scientists, civil society leaders, religious leaders etc. look for alternative methods of developing the country with national interest at heart and without alienating national assets and sovereignty. In this task, those operating in the Domestic sphere have a critical role to play as those operating in the intermediary sphere are organically linked to the global sphere and its profit making enterprises one way or another. The global system cannot be successful for all because the way these three spheres are interconnected and the way domestic sphere is made dependent on the global sphere with the help of intermediaries in the intermediate sphere. Such interconnections are basically ‘exploitative’ in nature –though there can be short-term benefits. Global sphere exploits the domestic sphere to continue in business. Those in the intermediary sphere assist –irrespective of words and language used. Intellectuals and social scientists that operate in the intermediary sector and look after the interests of those in the intermediary and global sectors by word and deed are no different from the politician and the bureaucrat infused with the righteousness of what they do. Public intellectuals never emerge from the top two spheres as a matter of principle because the vested interests and privileges are too may to dismiss in favour of innovative or critical ideas. Local literati, instead of being getting confused about this world order and how the three spheres are constructed, need to reflect on the predicament of those in the domestic or local sphere without succumbing to ethnic, religious, class, gender, or any other boundary markers in a united manner. Otherwise, they all will be subjected to the exploitative world order maintained by resourceful actors in the two top layers or spheres for a long time. This is an excellent analysis of the global situation. It would be good if Dr Gamage makes a more specific analysis of the situation in Sri Lanka though he does give the reader enough to draw conclusions as to Sri Lanka. But, a comparison with the policies of the last two governments would have been useful. Was the Rajapakse government neo-liberal. Though it had fascist tendencies, the extent of the corruption made it difficult for it to be characterised in any conclusive way. The phenomenon that divisions, ethnic and religious, are promoted to manipulate the people is a common factor to all regimes in Sri Lanka. Also, the Rajapakse regime made economic alliances with China more than with the west.Rajapakse seems intent to work on the China-Pakistan-Sri Lanka axis. The present government is clearly neoliberal. It depends on international capital and Western institutions. 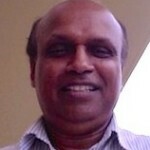 Dr Gamage should enlighten the reader by giving his own insights as to how he sees events in Sri Lanka. Not exactly. Rajapaksas, in spite of the lack of democracy, strived to yet preserve the national heritage and spirit. Present GoSL, while being democratically neo-liberal, scorns the national heritage, sells us to India, gradually moves towards federalism, and pushes the “Local literati “ to start producing like an ant colony for extraneous markets. Rajapaksa regime would have given greater sustenance to traditional heritage, albeit in neo-form, and kept the Island one nation. Some of the present socialist parties merely desire to unite all in socialistic busyness for whatever market is at hand, and is disregardful of national nature and characteristic. Irrespective of which global alliance we dalliance with, once national spirit and heritage is acknowledged and respected, country employment and livelihood will naturally form around it in all correctness. Thank you Dr Gamage. I know your 2009 article written in the context of the end of the war and the 2015 article on globalisation and inequality. I have not seen the 2016 article which I shall read. It would be good if you could update the 2009 article specifically on Sri Lanka taking the story to the present. Just a thought.